Dr. Zhou Di visits GCCC to discuss counterfacing offshore sequestration projects. Since 2014, the US Department of Energy, Office of Fossil Energy has presented Awards to two distinguished Chinese scholars who champion the development of technologies related to pollution control and carbon management. These awards enhance global recognition of their achievements, their effectiveness within China, and their collaboration with the U.S. via information sharing and project development. Dr. Di Zhou is one of this year’s Awardees, and has received an invitational speaking tour to the United States, where she will meet with current and future collaborators and share her knowledge with a diverse set of audiences across the country. As part of the speaking tour, Dr. Zhou will give a presentation at 9 am on November 13 in the BEG Main Conference Room. We invite you to join us for this prestigious event. In the past two decades, numerous energy-related research, development and demonstration initiatives have been successfully implemented between the U.S. and China via bilateral agreements and multilateral engagements, such as the fossil energy protocol between DOE and China’s Ministry of Science and Technology, the Carbon Sequestration Leadership Forum, the Clean Energy Research Center (CERC), and the CCUS initiative under the U.S. – China Climate Change Working Group. These efforts have promoted research and development, information sharing, and other technical cooperation. In the last few years, China has recognized the urgent need for pollution control and carbon management of existing power plants and coal conversion plants. It has intensified efforts to enforce regulations limiting emissions from these plants. Guangdong, one of the five “Low Carbon Pilot Provinces” in China, has set a carbon reduction target higher than nation’s average. A China-UK collaborative study confirmed the necessity of implementing CCUS in Guangdong in order to meet this target. The study developed a CCUS roadmap for Guangdong, which proposes a million-ton full-chain CCUS demonstration project as the key first step. The study also demonstrated that while inland Guangdong is not suitable for CO2storage, the the Pearl River Mouth Basin (PRMB) offshore Guangdong in the northern South China Sea is a robust storage target. Dr. Di Zhou was granted bachelor in 1965 from the South China Industrial University and a PhD in 1984 from Kansas University. Since 1985, she has worked in marine geology and mathematical geology in the South China Sea Institute of Oceanology. 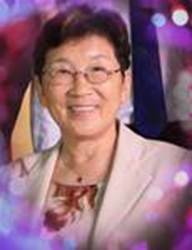 She served as the Vice Director of the Institute and Chairman of the Scientific Steering Committee of the Institute, Council Member of the International Association for Mathematical Geologists, and Secretary of the International Committee of Quantitative Stratigraphy. She served as a Member of the Standing Committee and a Vice Chairman of the Committee for Population, Resources, and Environment in the Guangdong Provincial Political Consultant Committee. In 2003-2005 Dr. Zhou worked as one of the lead authors of Chapter 5 of the IPCC Special Report “Carbon Dioxide Capture and Storage”. In 2006 she organized the first Clean Development Mechanism and CCS workshop in Guangdong Province. From 2009 to 2013, she led the first two research projects on CCS feasibility in Guangdong Province and since 2014 she has served as the Vice Chairwoman of the Consultant Committee of the UK-China (Guangdong) CCUS Center.